As with every high level team their successes are directed by a coach or manager who truly understands every team members strengths, as Licensee Kylie has an innate talent in recognising individuals skills and blending of personalities to create a remarkable group of people all working in synergy. The body of experience accumulated by Kylie Gilbert and Amanda Hughes of over 40 years in property settlements is passed down and shared with our junior staff. Sharing the information and learnings with the whole team ensures Foreshore Settlements stays up to date and all across industry best practice. The most successful sporting teams on the planet ensure peak physical Fitness and we as a team at Foreshore also share the passion for Fitness, in fact we are just a little obsessed..! Guilty as charged..It help us to stay Fresh, energised and Focused on what we do best. Heading up her team now for 18 years and coming from a background in Real Estate, including Strata Management, Trust Accounting with a large Commercial Property Agent and Sales Administration of a Boutique Real Estate Agency before plunging into Property Settlements. Kylie is exceptionally experienced in all facets of both commercial and residential property transactions and due to her friendly and approachable, calm manner, she is widely respected throughout the industry. 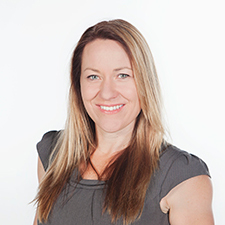 These days Kylie focuses her attention on Complex property dealings, training and mentoring of the Foreshore team and maintaining strong client and referrer relationships. Outside of business hours Kylie spends valuable time with her big family, often found at the beach on the boat or traveling. She is considered by most who know her as a “fitness junky”, she loves to exercise daily and pays close attention to living a healthy lifestyle. Kylie is passionate about life and driven to succeed. Diversity in job roles across several industries has given Martin a broad knowledge of people and life in general and with a passion for real estate in all its forms, his enthusiasm shines through. A Butcher by trade, Surf Tour Operator, Offshore Radio Operator, Construction Rigger and Real Estate Rep has given him the ability to connect with people from all walks of life. 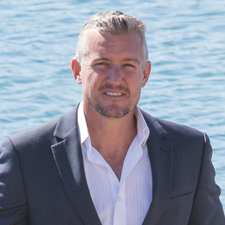 In his present role as Business Development Manager the brief is to capitalise on every opportunity to grow Foreshore Settlements, this is done through an extensive network of referral partners such as Real Estate Agents, Mortgage Brokers, Land Sales Agents, Bankers, Accountants and Financial Planners. Martin and Kylie enjoy an active lifestyle with their big family and see fun, health and fitness as being paramount to maintaining the energy required to keep the pace up. 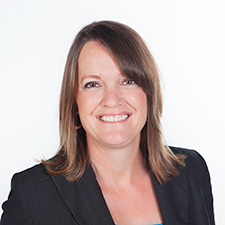 Amanda is a Senior Conveyancer with over 20 years of experience in professional roles. She started work with Foreshore Settlements 14 years ago and hasn’t looked back. Experienced across all areas of settlements Amanda has developed a highly respected relationship with clientele and staff. She handles complex standard. She also enjoys assisting the Junior staff to achieve their goals and is quite involved in their training. In her time off she enjoys attending outdoor boot camp classes, running, going to the movies, beach, dinner with friends and family spending time with her husband and two daughters.